The original Lemsteraak design was drawn in 1876 in Lemmer, Holland and was intended as a herring fisher although because of their speed under sail they were mainly used to transport the fish around Northern Europe. This particular boat is the 9m, the smallest of the range however with her wide beam and round bilge she has plenty of volume, standing headroom for most without compromising her sleek lines above decks. Whilst she is still very much traditional she has been upgraded to make sailing her a little easier, self tailing sheet winches help and below some home comforts such as an electric cooker, fridge and foot operated water pressure switches mean she will be a pleasure to cruise or liveaboard on the river bank. Although I have included her in the project boat category this is very much subjective. She has had a complete respray (Awlgrip) and for that she was completely disassembled outboard, every part stripped, cleaned, coated appropriately and she is now being reassembled. As you can see from the photographs the care and attention to detail throughout this process is phenomenal. It really is a joy to see. 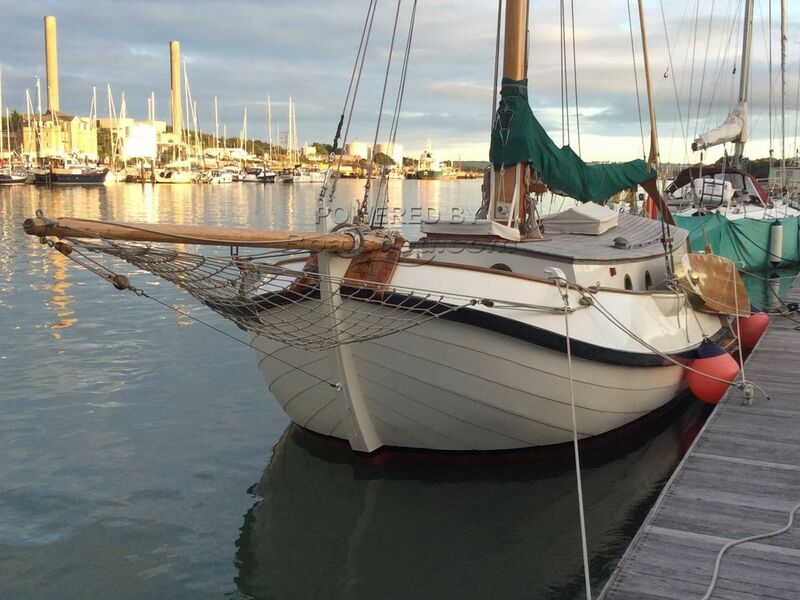 This Lemsteraak 9m has been personally photographed and viewed by Corinne Gillard of Boatshed IOW. Click here for contact details.